Recently God has been teaching me of the importance of having a relationship with him instead of just coming to him when I’m in need of a specific thing. It’s so refreshing to simply sit still in God’s presence and enjoy his company and marvel at his power & grace! But sometimes I feel as if my time with Jesus gets stagnant. 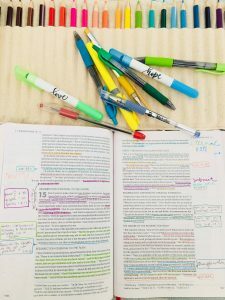 It can feel like another class, another task to accomplish, and his Word can seem like another book to read. 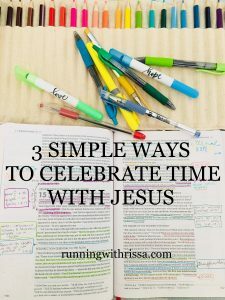 So here are 3 ideas that I use in order to keep my time with the Lord exciting and renewing! Add a touch of beauty. 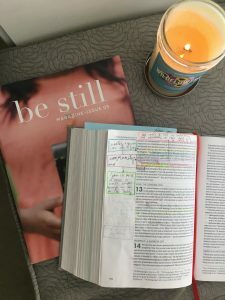 This one looks different for everyone, but the main point is to make the space where you spend time with God beautiful so you remember God’s beauty. Now when I think of beautiful things, I think of food ;), so I often like to have a snack with me when I study! 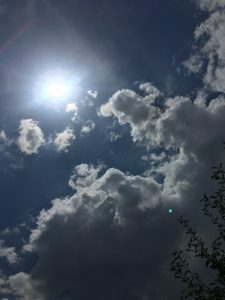 Or maybe just run outside for a moment and look up at the glorious sky. Just doing small, non-stressful things can actually make a big difference! I light my wildflower candle, eat my snack, and remember that moments with Jesus are special and should be treated that way.